It’s been my best running weekend ever, certainly in terms of personal bests. Two in two days. 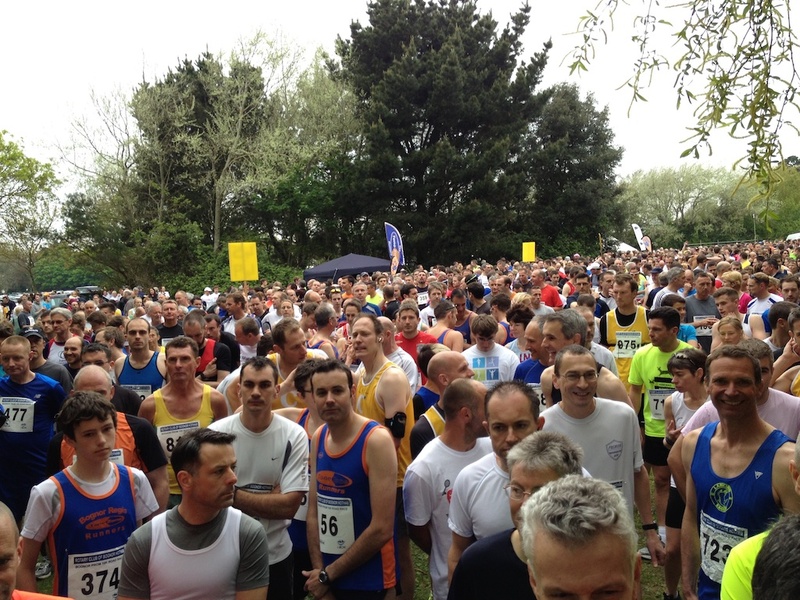 On Saturday I headed to Hove Park to take part in parkrun, as I do most Saturday mornings. If you haven’t heard of parkrun, head over to parkrun.org.uk. It’s a free 5k timed run for everyone. You register on the website, print out a barcode and present it at the finish line at the end of your run. This ensures you get an official time and placing, which is then listed on the website. You can follow your progress over time and your barcode works for any parkrun event around the world. There are parkruns all over the UK and some in other countries including Australia, Denmark and even Afghanistan! I usually cycle to Hove from Worthing, which is a nice 10 mile warm up! My PB for Hove parkrun was 19:25 and that was also my 5k PB despite the fact that Hove parkrun is rather a slow course with some long inclines. This was set in April 2012, the week after I completed my first marathon in Paris. Since I suffered sciatica in October 2012 I have slowly been getting back to form. 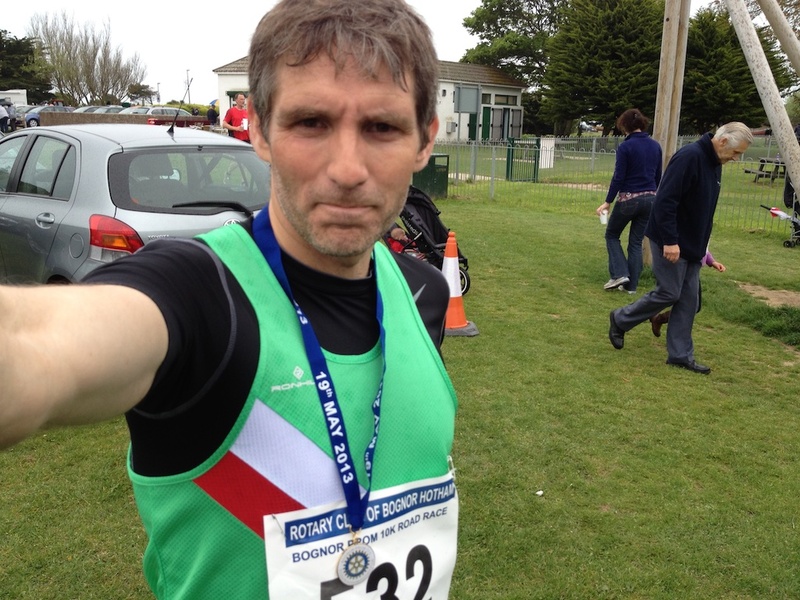 I joined Worthing and District Harriers running club in November in order to help me recover and by April 2013 I was ready for the Paris Marathon. I ran a PB for that and I’ve been getting stronger ever since. 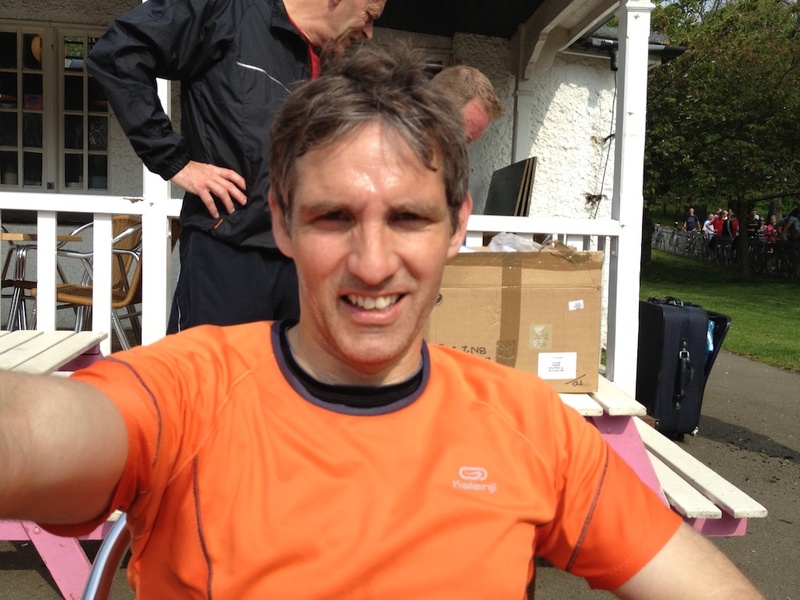 I know quite a few people at Hove parkrun these days and I decided to use Paul Gasson as my pacer. He almost always runs close to the 19 minute mark and I stuck with him all the way, even passing him at one point. He did overtake me in the sprint for the line but I didn’t care as I already knew I’d got a new PB. He dragged me round to a 19:15 finish, 10 seconds faster than my previous best. I was very, very chuffed. The next day, after taking the children for their swimming lessons, I made it to the start line of the Bognor Prom 10k. My goal was to beat my PB and finish in 41 minutes. The course heads east from West Park on the seafront and moves inland. It rounds Butlins and heads back straight along the prom for the final 5k. I decided to set off doing 4 minutes per kilometre knowing that I would probably fade towards the end. As is often the case, when the gun went I sped off with everyone and ended up doing the first kilometre in 3:30. But I settled down and ran fairly steadily from then on. At each kilometre marker I looked at the watch to make sure I was sticking to my pace. At 2 kilometres the time said 7:45, well inside target time. By 5k the time read 19:50ish. I began to think that I could try for sub 40 minutes. At 8k I was still running 4 minutes per kilometre and realised I had to go for it. I was feeling it in the final kilometre but made it over the line in 39:45 and 47th place, out of 1800 runners. Once again, very, very pleased with myself. I was pleased too that my whole family were there to support me. I think Hal, Jev and Victoria were quite surprised at my time. To be honest, I was a bit surprised too, but it shows the training with Worthing Harriers and all the recent hill work, is paying off.